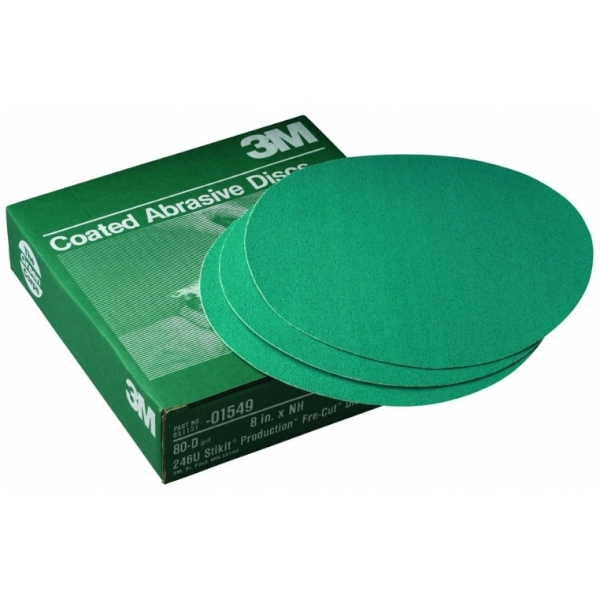 Categories » All » Paint / Epoxy / Supplies	» Abrasives	» 3M 8" DISC-STKT 60E PROD..
An aluminum oxide disc constructed on an E weight heavy paper backing. Resin bonded for heat resistance. Features an anti-loading stearate coating. Grade: 60. Primary markets: metalworking,woodworking.